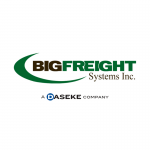 Manitoba Trucking Association’s Annual Award Renamed In Honor of Big Freight Systems’ Founder Red Coleman - Daseke Inc. Some trucking executives aspire to be known for their service not only to their own companies but also to the industry as a whole. One such executive, Seaton “Red” Coleman, founder of what was to become Big Freight Systems Inc. — a Daseke company — is now literally synonymous with the concept of service to the trucking industry. 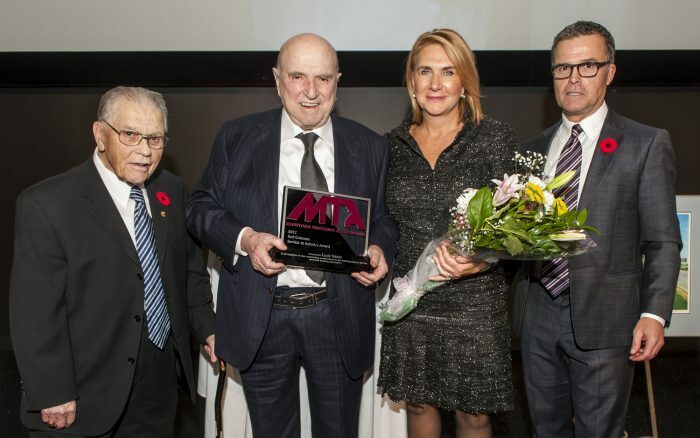 The Manitoba Trucking Association (MTA) has renamed its Service to Industry award, given annually to recognize professional achievement and leadership, in honor of Red Coleman. Over the course of his distinguished career, Red turned a four-truck operation he purchased in 1948 into a state-of-the-art cross-border flatbed hauler, one that now operates more than 150 tractors and 350 trailers. Red also received this great honor in recognition of his service to the MTA. 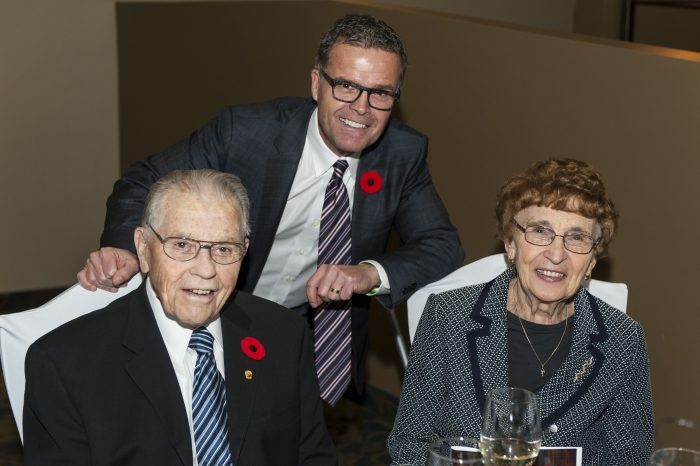 For more than 55 years, he held down a seat on their board, leading committees and organizing events that helped build the association into the leading voice for the trucking industry in the province. That, says Terry Shaw, executive director of the Manitoba Trucking Association, sums up Red Coleman. The Service to Industry Award, which the association launched in 1961, was already something of a family affair. Red won it in 1987, and his son Earl Coleman, who served the MTA in the capacities of board member and president, was the award’s recipient in 2011. Gary Coleman, Big Freight’s president and chief executive, as well as Red’s son and Earl’s brother, says the merger with Daseke in mid-2017 gave him an opportunity to reflect on the company’s history and his family’s legacy. 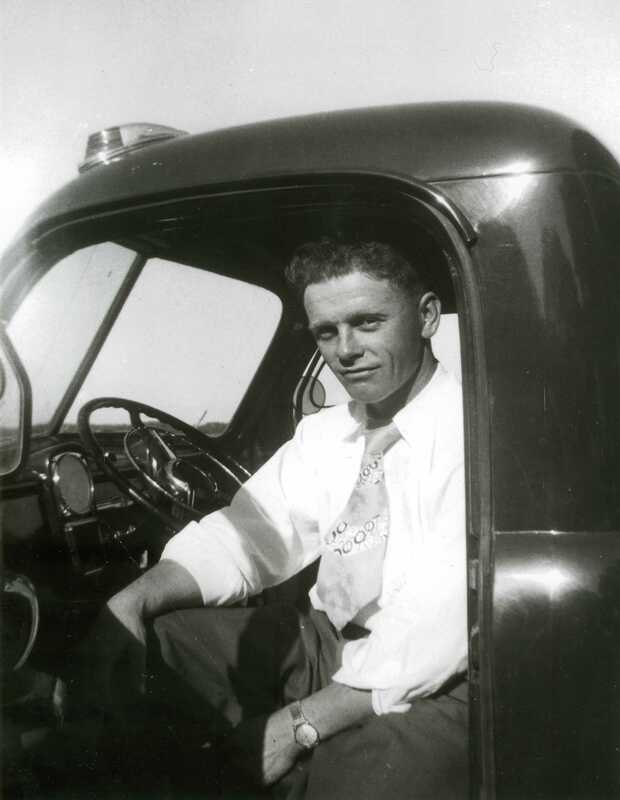 His father, he remembers, “taught me a lot about trucking and the values and philosophies of running a business. I wanted to recognize him in some way that was meaningful.” He also wanted to set up that recognition while his father, now 91, was able to appreciate the respect and admiration others in the industry have for him. Gary’s solution was to propose that one of the association’s most prestigious awards, presented at MTA’s annual fall banquet, be named for Red. 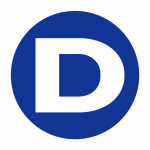 In fact, the 2017 award was the first to bear this new name. Gary is providing financial support for the award but is not involved in the selection of the honoree. Gary Colman and his folks, Red and Norma, at the Manitoba Trucking Association banquet 2017. What does the namesake of the Red Coleman Service to Industry Award think about being recognized in such a fashion? It wasn’t so much the business prospects of trucking that drew his father to his new career as it was a fascination with trucks, Gary remembers. “He wanted to drive them, haul freight and fix them,” he says. And fix them he did. According to Gary, equipment salesmen were most likely to find Red in the shop and under a truck, grease all over the coveralls we wore to protect his dress shirt and tie. Red stayed active in the business well into his 70s, and his involvement only began to taper off when his wife told dispatchers to stop booking him on loads. Even so, at 91, Red still stops by the office and shop weekly. This year’s winners of the Red Coleman Service to Industry Award (From left to right: Red – Louie Tolaini – Shelly Tolaini – Gary Coleman). Louie is owner of TransX Group in Winnipeg. It wasn’t just hard work and a willingness to get his hands (and dress shirts) dirty that made Red worthy of being recognized as someone others in the industry should emulate. Red was a partner in a milk-hauling business for more than 30 years, Gary says, with no written agreement detailing the business arrangement. 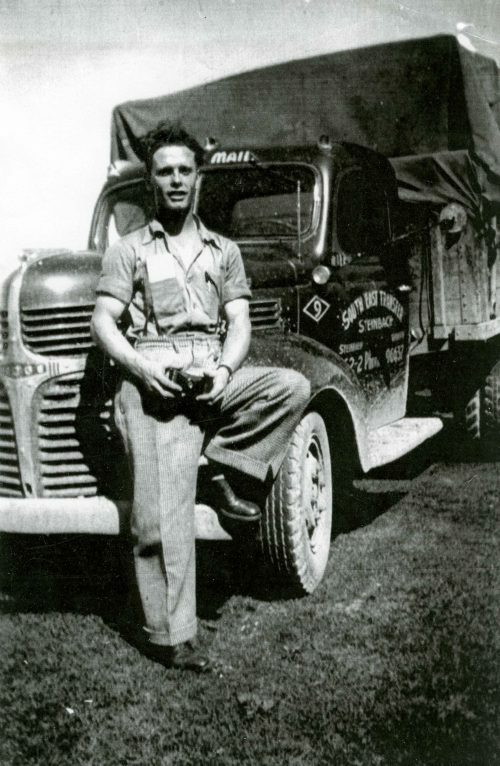 Trucks and trucking may have changed a great deal since the days when Red Coleman got his start in the business, Gary adds, but those underlying principles of hard work and honest dealings still matter.